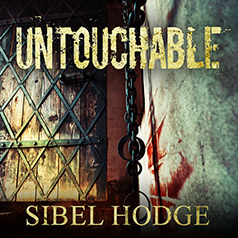 Untouchable is a chillingly dark psychological thriller from the #1 bestselling author of Look Behind You. It's Maya and Jamie's anniversary, and she waits with excitement for him to return home for a celebratory dinner. There's a knock at the door. It's the police. Jamie has been found hanging in a local wood. His death is ruled a suicide, but Maya doesn't believe Jamie would take his own life. Something isn't right. Someone has broken into her house. Someone is watching her. And someone has gone to great lengths to cover up what Jamie was doing before he died. Maya's grief turns to suspicion, and as she begins to investigate the weeks leading up to Jamie's death, her trail leads her to a place known as "The Big House" and the horrific secrets within. Secrets people will stop at nothing to keep hidden. People linked to the heart of the Establishment who think they're untouchable.